Are you ready to SCREAM?! The undisputed champion of Halloween events in Western Canada for over 14 years returns featuring REZZ with guests Aly & Fila, OMNOM, Salvatore Ganacci, Spag Heddy, JOYRYDE, Tritonal and Zatox! 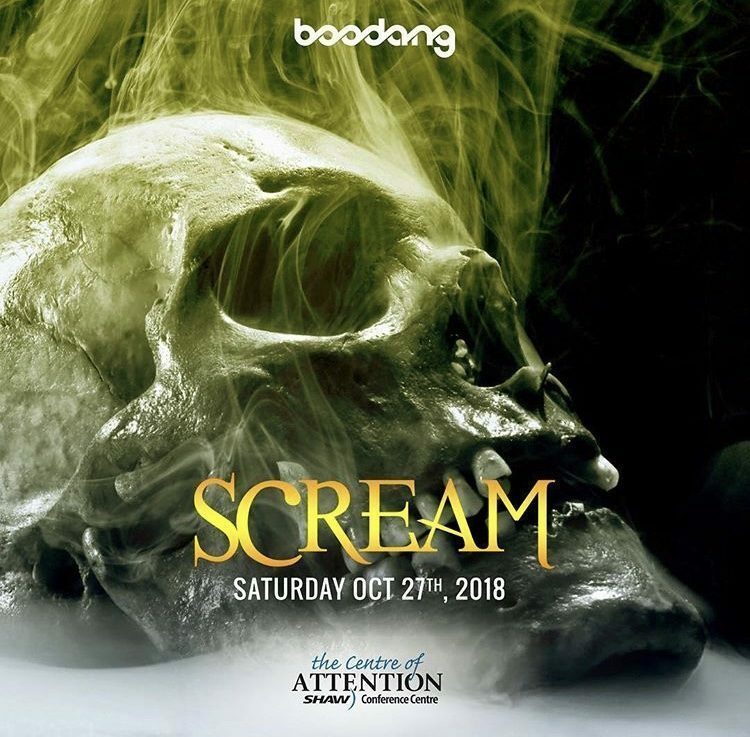 It’s no surprise that SCREAM sells out every year – boasting massive DJ line-ups, combined with a spectacular atmosphere in the heart of downtown Edmonton. Each year, the Boodang team introduces new elements to SCREAM with amazing decor, lighting, video and sound – this year is no different! SCREAM is back, and it’s bigger and better. SCREAM this Halloween! This event is 18+, a valid government issued ID is required. No weapons are permitted. Time: 8 p.m. / Curfew 2:30 a.m.
Pre-sale Thursday, September 6 at 10 a.m. (local). Tier 1 tickets $99.95 (plus GST and s/c). VIP tickets $124.95 (plus GST and s/c). Once guests enter the ticketing area, there will be no smoke pit or re-entry. The consumption of cannabis, tobacco, vaping and e-cigarette products is not permitted within our venue. To make parking easy and stress free, we have partnered with Parking Panda, the nationwide leader in online parking reservations, to allow you to search and reserve parking before your trip or on the go. View real-time availability and pricing at convenient locations within easy walking distance to the Edmonton Convention Centre. Simply choose the day you’re attending or update the calendar to fit your schedule and view parking options. Non-reserved parking options are also listed here. Once booked, your spot is 100% guaranteed at the selected location. Need assistance? Please give Parking Panda a call at (800) 232-6415 to speak with a helpful representative!